4.5 / 5 Score from 16 reviews. -20 % discount until 20 Oct 2019; - 15 % discount until 05 November 2019; and -10% discount until 20 Nov 2019! 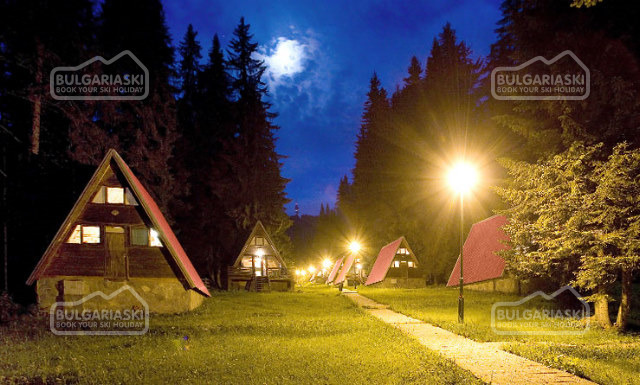 Malina village is located within few minutes walking distance from the ski lifts of Pamporovo ski resort in the Rhodopi mountain. 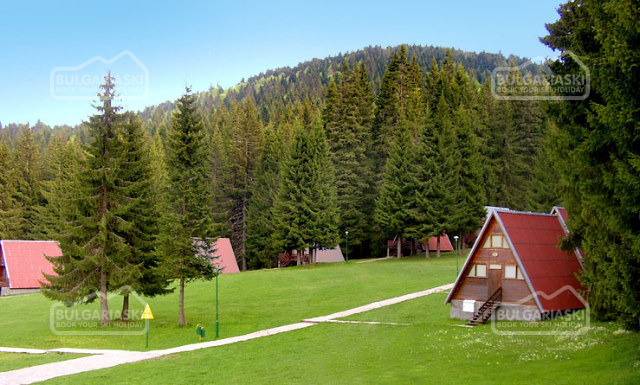 The complex is surrounded by pine forest and is situated not far away from the centre of Pamporovo. The village operates all year round. 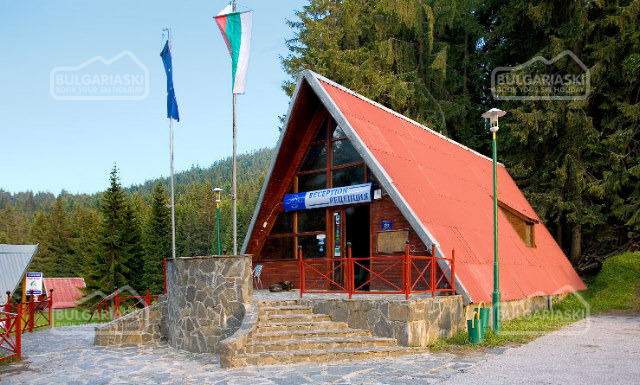 The distance to the ski lift is 150 m.
Malina complex consists of 30 wooden chalets of Polish type. 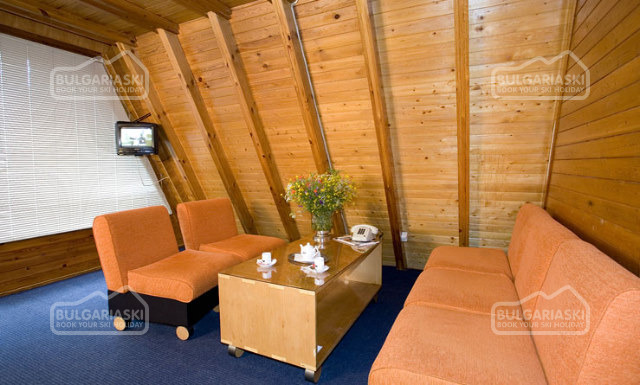 4 persons can be accommodated in a chalet. 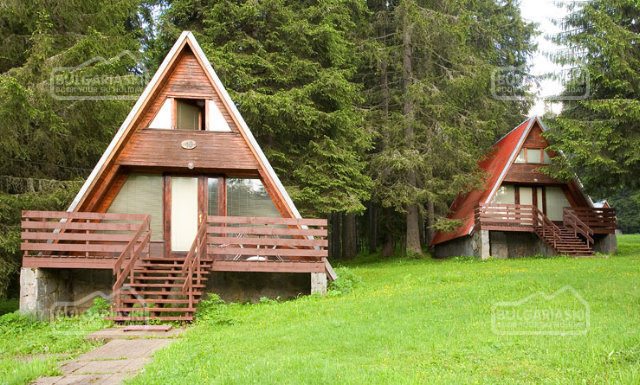 The chalets feature 2 floors. A living room, a kitchen with cooking facilities, bathroom and private WC are located on the first floor. Two bedrooms are located on the second floor. 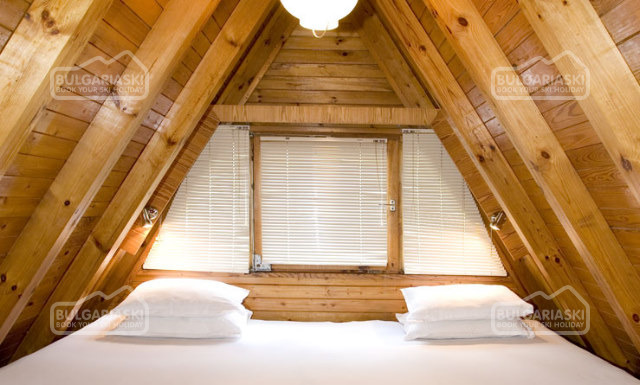 The first bedroom is with two separated beds, the second one features a big bed for couples or 2 separated beds. The chalets offer cable/sat TV. 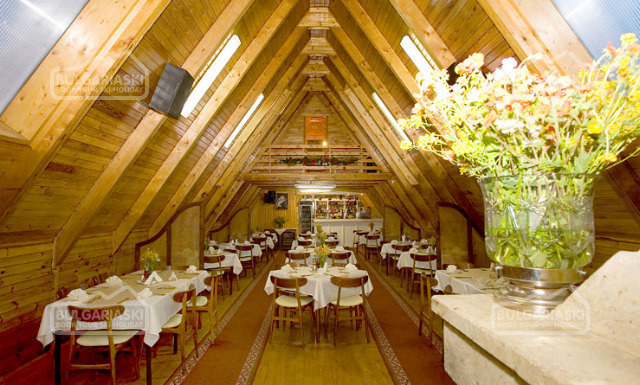 The village offers a restaurant. Accommodation was ok, but self catering facilities were minimal. No kettle, no toaster, no grill, no teaspoons, only two hobs, of which only 1 worked, this was the case in both chalets we had. If you want a cup of tea or coffee, take your own cups as the ones provided are expresso size. We had half board but no drinks are included with the evening meal, even water has to be paid for, and food in restaurant was awful, usually cold and attitude from staff towards us was bad but other family groups were treated much nicer. They tried to charge us for drinks we didn't have. sorry about all those messages! I stayed at the Malina chalets from 9th - 16th Feb 2008. It was my first ski-ing holiday and I had the best time ever. 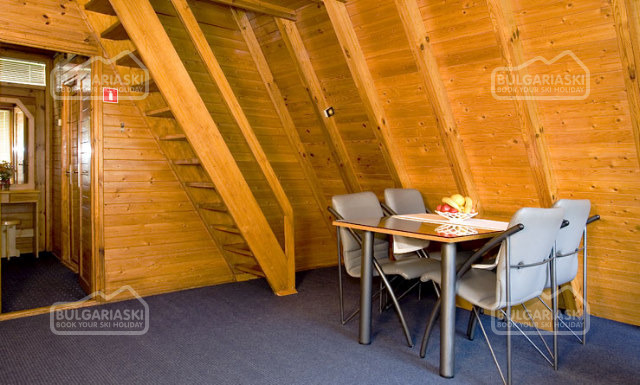 The chalets are quite basic but are warm and comfy, they are very close to the ski school and lifts. 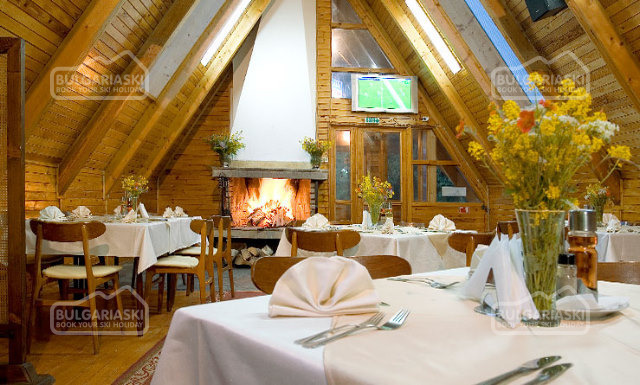 The food in the restaurant is not very good but the food on the slopes is lovely. I went with 18 other people and we all had the same ski instructor "Tsonka" and she was fab, she even took my little brother (21 months) on her back! The ringos were great fun and we also went bowling which was good fun too. We spent lots of time at the Irish bar, playing cards and singing. I had a fab holiday and hope to go back next year! I stayed at the Malina chalets on the 9th Feb - 16th Feb with 18 other people, it was my first time skiing and i loved it! 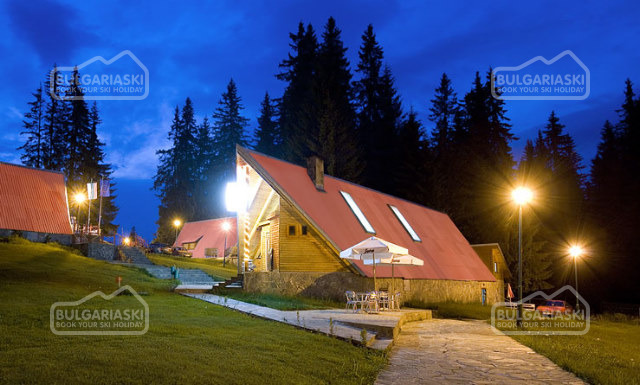 The malina chalets are within easy walking distance to the slopes, they are basic but warm and cosy. We had a brilliant ski instructor called Tsonka, who even took my baby brother who is 21 months on her back! The ringos are definitely worth a go and we also had a night out bowling which was great fun! We spent lots of nights in the Irish bar playing cards and singing! We also had great fun on our bum slides in the snow. I had the best holiday ever and hope to go again next year! 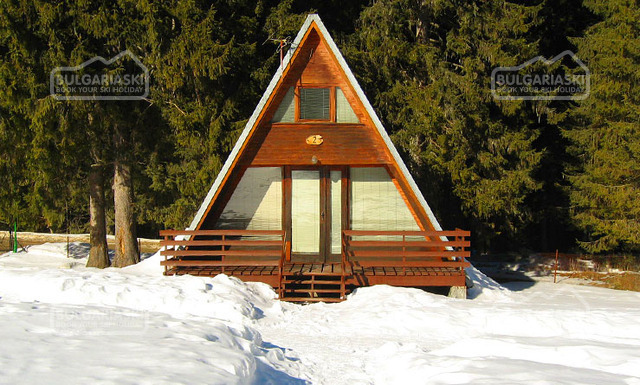 I stayed at the Malina chalets from 9th feb-16th feb, it was my first time skiing and i loved it. I went in a group or 19 people and we had so much fun. The chalets are only a few minutes walking distance from the slopes they are basic but warm and comfy.We had a great ski instructor called Tsonka she even took my baby brother who is 21 months on her back. The ringos by the white house are definitly worth a go and also the bowling is great.We spent many nights at the Irish Bar just by the chalets.I can't wait untill we go back in 2009. Just visited this venue for the 2nd year running. 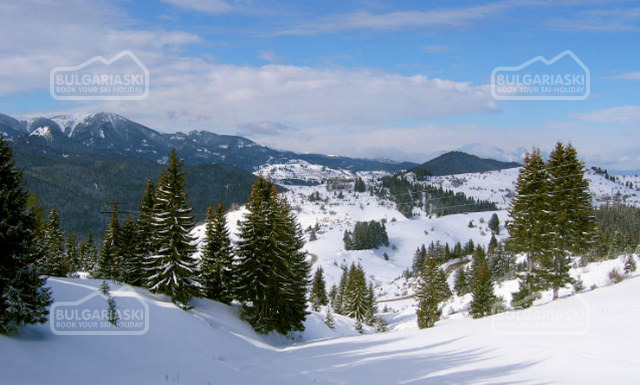 Fantastic place for your skiing hols with the slopes within easy walking distance. The Irish Bar at the Malina residence is fantastic & the guys who run it ( Genko & Marco) are the most friendly fellas you could meet. The White hart in town is a great night out too. The only disappointment is the food at the restaraunt on site, it is usually cold & not of good quality which is a shame. Anyway i would recommend this to anyone who wants a good family skiing holiday. WE WILL BE BACK!!!!!!! I stayed at the malina chalets from 9th feb- 16th feb. It was my first time skiing and we went in a group of 19, I had the best time ever, we had a brilliant instructor called Tsonka, she was really nice and even took my 20 month old brother on her back down the slopes. The chalets are really close to the slopes and there is a bar next to the chalets that we all enjoyed going to. If you don't now what to do one night go to the ringos and i also reccomend the instructors skiing show. I can't wait to go back another year. I stayed here again this year from Feb 9th until Feb 16th and it was even better than last year. 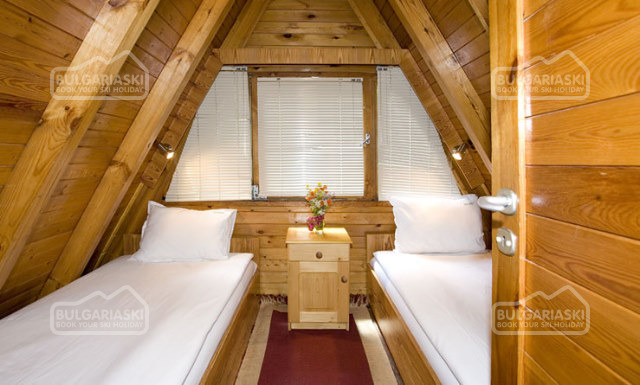 The chalets are just what you need with heating after a cold day out. The food is amazing!!! 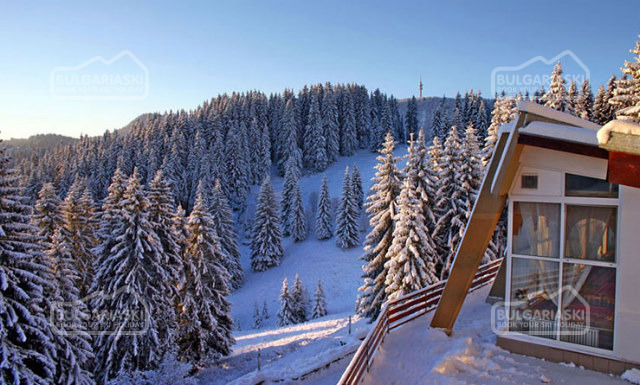 Just a few minutes walk and your at the slopes with bars just a 30 second walk. Highly recommended... Great in a big group...i WILL be back! we stayed in malina villas for xmas 2007, wow, they are lovely and warm and so cosy , could do with some heating up in the bedroom! Oh and abit more in the kitchen, like a kettle and some pans, we had a pot to make tea in. Well the food was ok, the girls in the restaurant are lovely and helpful. We are back for xmas 2008!!! see you all there. 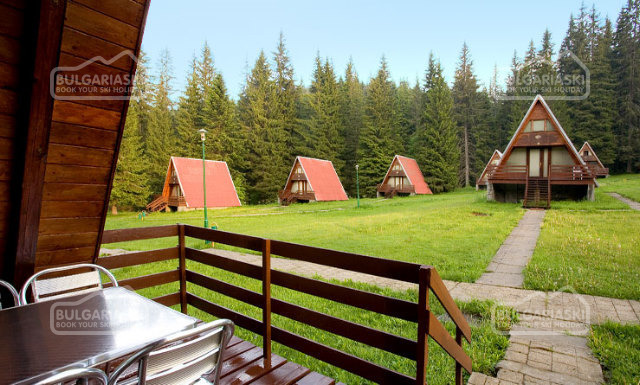 Please, post a comment on Malina chalets in Pamporovo. Prices in Euro per villa per night, breakfast, outdoor parking, WiFi and seif (reception) included. 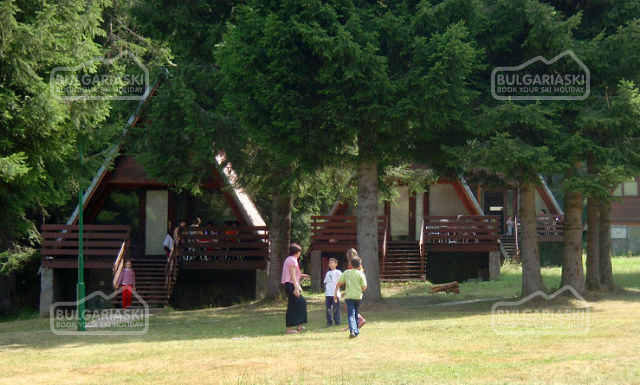 Maxim occupancy: Chalet - 4 adults. * Cancellations can be made, providing details of this are received at least 14 working days prior to the day of arrival - cancellations made after this period will incur a fee equivalent to the total cost of the accommodation. Cancellations for the period 29 December - 02 January can be made min. 31 days before the check in date and cancellations made after this period will incur a fee equivalent to full amount for the accommodation! 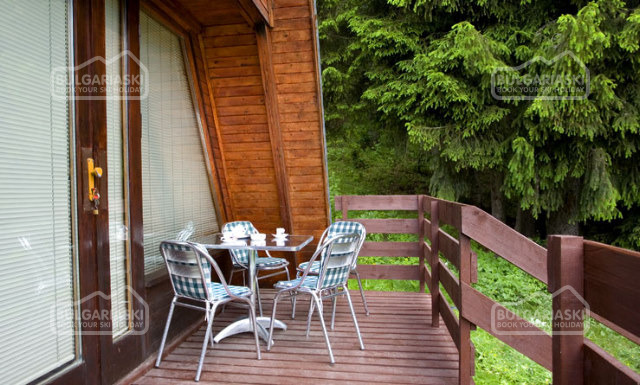 We had a fabulous time in pamporovo everything we booked was perfectly organised an everything went on time. There was only a minor problem with the Malina Chalets the heating was on far too high which is ok in the winter but it meant we had to sleep with the windows open, we did ask at reception to turn it down because we were not allowed to touch the heaters ourselves but it didn't seem to make a difference. This is the only negative about our whole trip but I'm glad it was hot rather than too cold. Our experience overall was excellent. 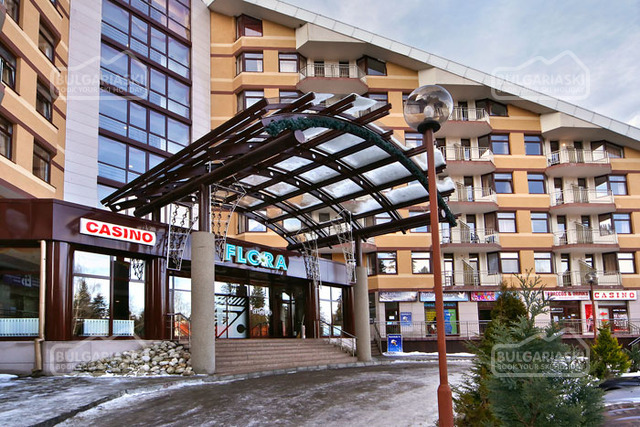 Staff were friendly, the skiing very close by and the holiday was really good value for money. In terms of where improvements could be made......there wasn't any après close by, which meant there isn't very much to do in the evening unless you catch a taxi, so a nice bar close by would have been good. 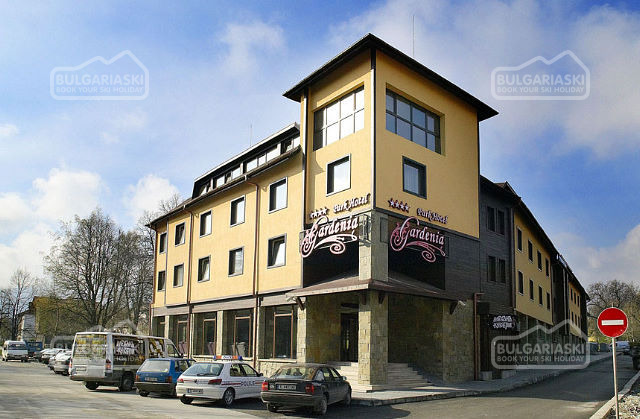 I was very impressed with the correspondence I had with BulgariaSki reservation centre. The system all run beautifully and the requests for money were made on time as per the schedule. Thank you for an efficient service. I will definitely reserve again, especially when finding those excellent last minute offers. In fact things are not as bad as they may look from the answers. But these are the real answers at your questions. For a more detailed response and sugestions, contact us at ursamare@ursamare.ro. 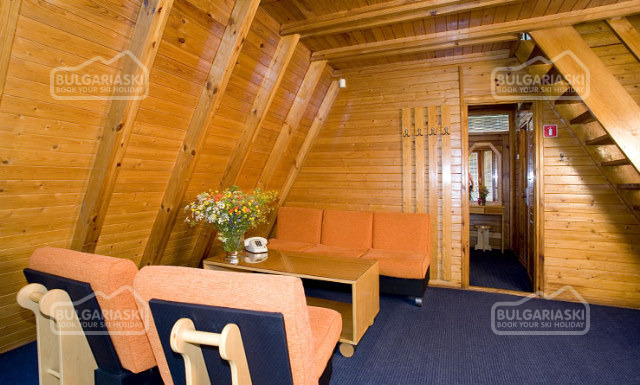 We could have done with some more heat in the chalet upstairs in the bedrooms at nighttime. Other than that, everything was just fine. Many thanks for another great stay. - 7=6, 14=12 all reservations during the periods 01 Jan - 17 Jan 2020 and 02 Feb - 31 Mar 2020!